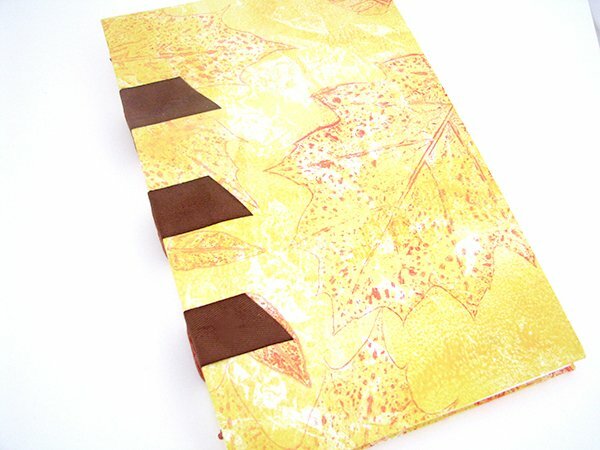 I used another one of my mono prints for the cover of this week’s handmade journal – it’s book 6 in my 50 Book Project. The print was made on a piece of 90lb mixed media paper using Speedball inks and a gelatin plate. 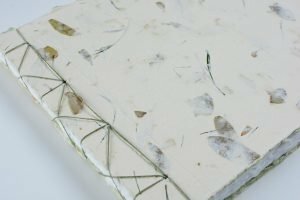 The shapes were created with leaves and the texture with wrinkled wax paper. I wrapped the print around book board to make the covers. 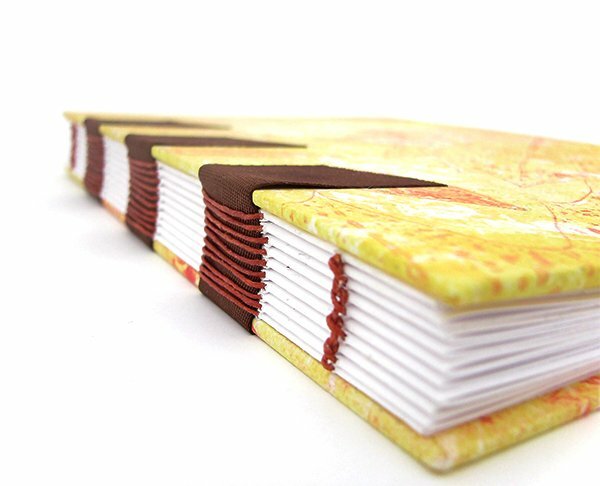 The binding style is ‘sewn over tapes’, but in this case I sewed over 5/8″ grosgrain ribbon. 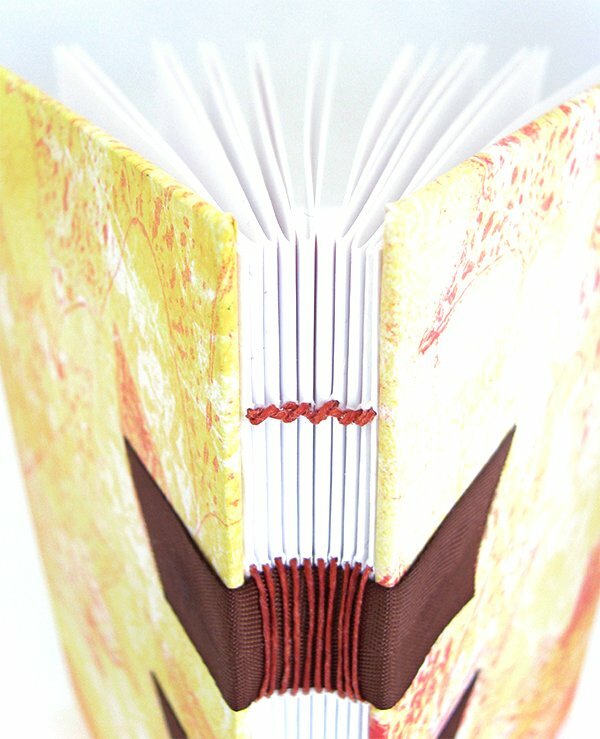 Kettle stitching at the head and tail of the book add extra stability.The ribbons are secured on the covers with glue and the first page and last pages of the book are glued to the inside covers as well. Thanks for visiting. If you don’t want to miss each new book I post, please sign up for my newsletter in the box at right.